It implements a number of post-processing and spatial and temporal averaging functionalities. These can also be run a posteriori. 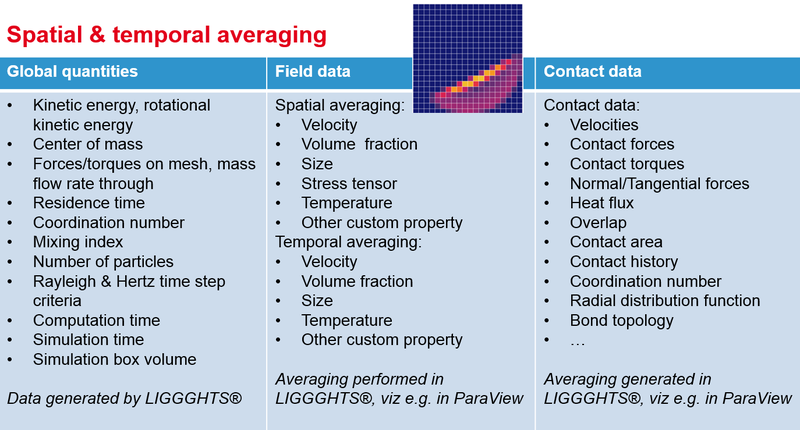 This means that additional post--processing (such as averaging or calculating contact networks) can be done after the simulation has finished, just loading the data for each time-step which is relevant for the data generation. 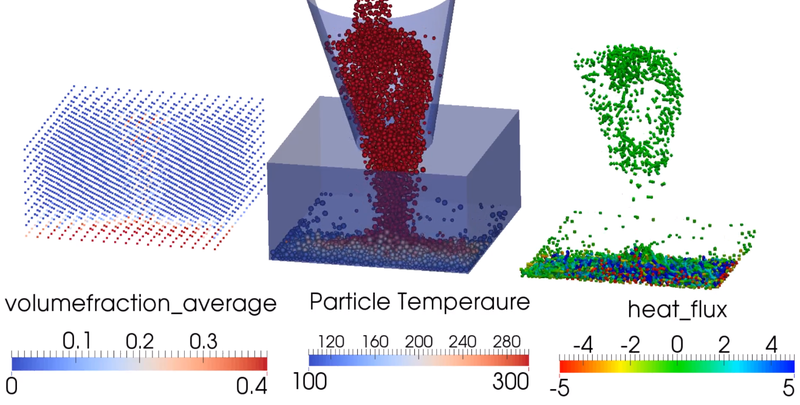 This example shows the calculation of particle volume fraction and heat transfer contact network.